Everything you need to know for compliant contracting of AV Freelancers. If you have a project in Las Vegas with your employees or contractors, be sure to check that they have completed the OSHA 10-Hour or 30-Hour General Industry course. As of January 1, 2018, AV Techs working for payment in Nevada must complete an OSHA course and receive a completion card within 15 days of the start of the project. Techs in a supervisory role must complete the 30-hour course. All other techs (non-supervisory roles) must complete the 10-hour course. 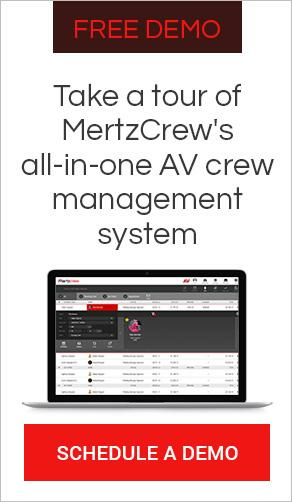 For more information about AV contractor compliance or for a free assessment of your current contracting process, contact Mertzcrew and make sure you’re company is properly protected. 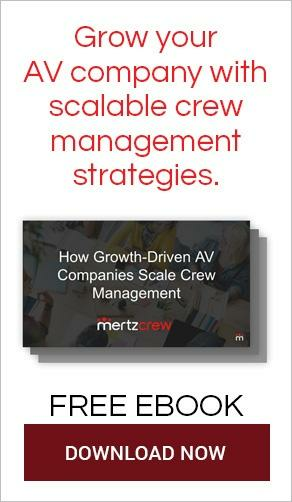 Since our start in 2001, our goal has been to provide leading AV Rental & Staging Companies, AV Live Event Producers, AV Integrators, Hotel/Hospitality AV Providers, and all others tasked to manage AV crews, with intuitive & powerful tools they need to improve all of their crew scheduling and management processes.